When I arrived in Panama on June first, I stepped off of the plane and into a presentation being given by my new Panamanian coworkers to 42 students on Canadian culture and living in Canada. Working their way towards the end of this project, the Centennial College office here in Panama has been working with the Panamanian government in a special program to send 42 students to Centennial College for a 6 month English Training Program. 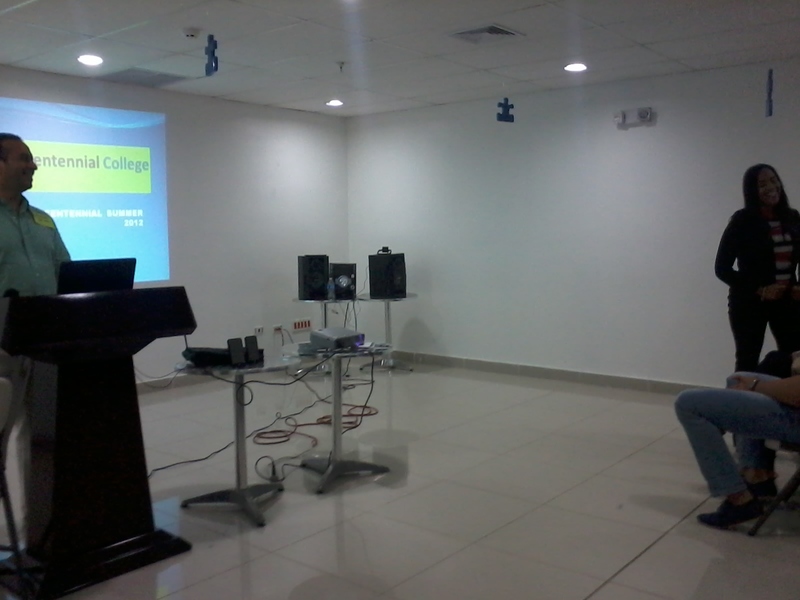 Videos on Canada, Toronto, and Centennial College. Excited to get the students pumped for their trip! I dived right in. Assisting with the finalization of the paperwork for all 42 visas, homestay accommodations, flight arrangements, and students frantically calling in with questions about Canada, the school, and the trip. Late nights, collaboration with the International Office in Progress Campus, and assistance from the Canadian Embassy here in Panama made sure that everything was finished in time. 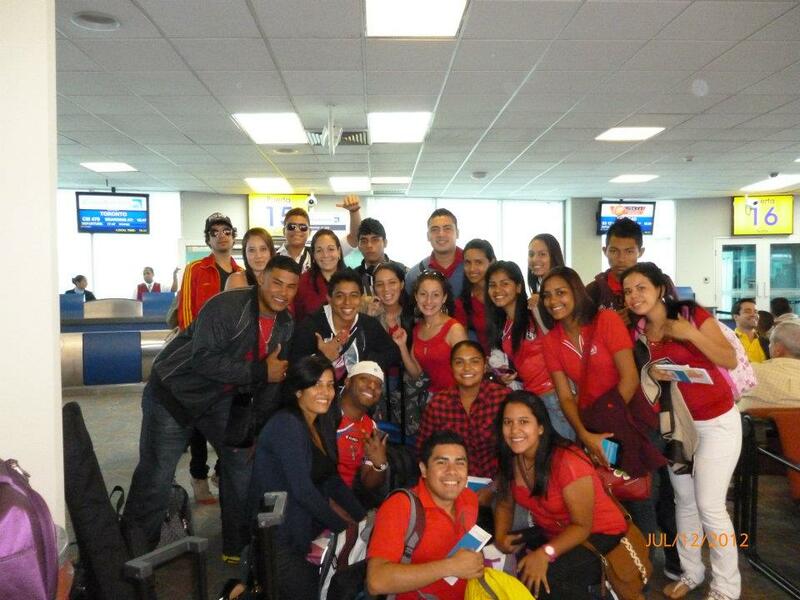 We told the students to all wear red to the airport, where we would all be meeting. Some did, some didn’t; and true to Panamanian form, almost everyone was late (telling them to arrive three and a half hours before flight time gave us a little wiggle room). Rounding everyone up, arranging bag checks, and finally getting everyone through security left us only 15 minutes to get the students onto the plane! They managed, though! Somehow, lol. 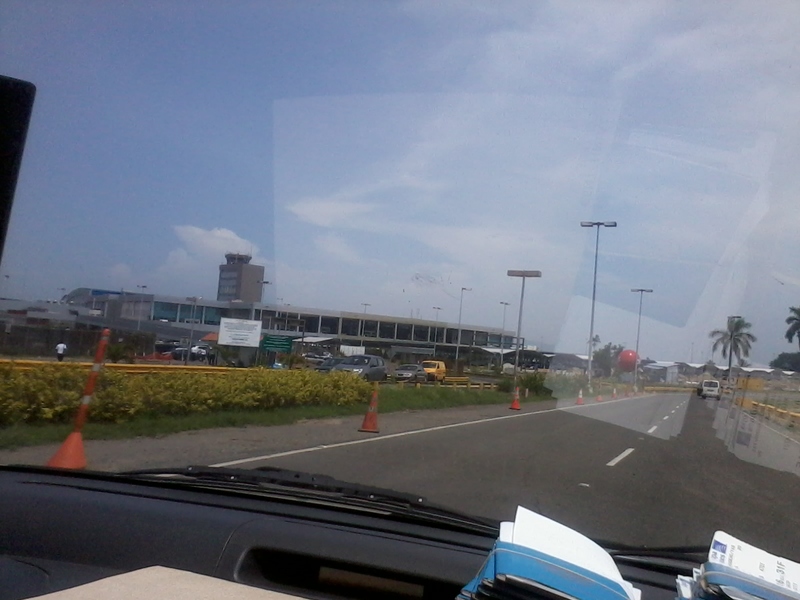 Pulling up to Tocumen International Airport! Now with the students off and starting classes at Centennial, the office here is focusing on completing the paperwork for the students who will be attending Centennial in the fall. There are less than 42 students for that deadline, so I’m thinking the days might be a little shorter than they have been lately… but only time will tell. 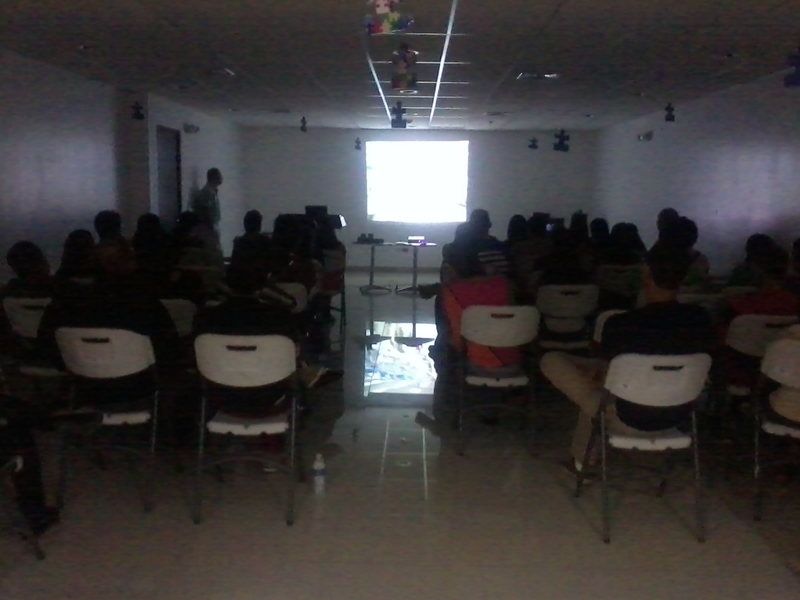 In addition to preparing the students, the office is busy with promoting Centennial around Panama City, making presentations at High Schools, and meeting with students and families at the office to advise, inform, and discuss what Centennial College has to offer them and how we can help them get there. I’m improving my Spanish as well, so I’m involving myself more and more with answering the students’ questions about Centennial and Canada, being a Centennial student myself! 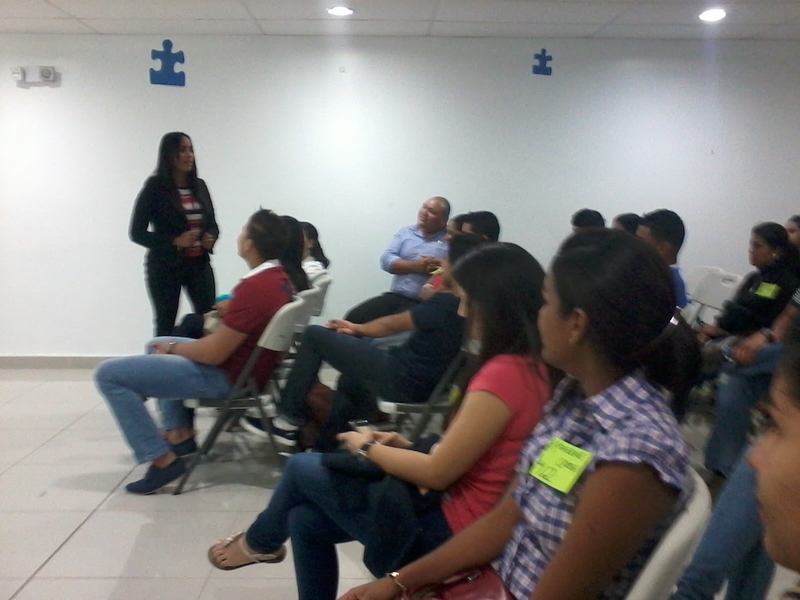 Imparting my experience and advice to Panamanian students and their families brings a sense of gratification that I live for! Hard to believe that in just over a month, it will be all over and I’ll be getting on a plane back to Canada. For now though, I continue to spur the office here on. Next up: students enrolled for September! After Security, Just before Boarding Time! I wish them success in their travels, and their studies! Next Purchasing online? Forget about it!